We just did a review on the fabulous Injinji toe socks. If you missed it you can check it out here. 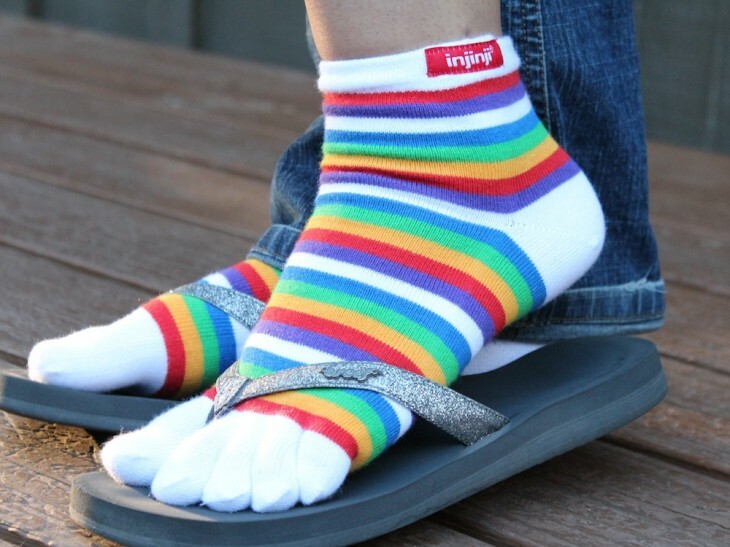 In the video review I mentioned that I love toe socks and the only thing that Injinji was missing was multi colored rainbow socks. Yesterday, we received a package in the mail and in it was RAINBOW INJINJI SOCKS!!!!! Oh happy day!!! What perfect wonderful socks!! Thank you Injinji for being SO awesome!!!! Christine Lukasavige A southern girl, moved to the mountains of Colorado with my family.